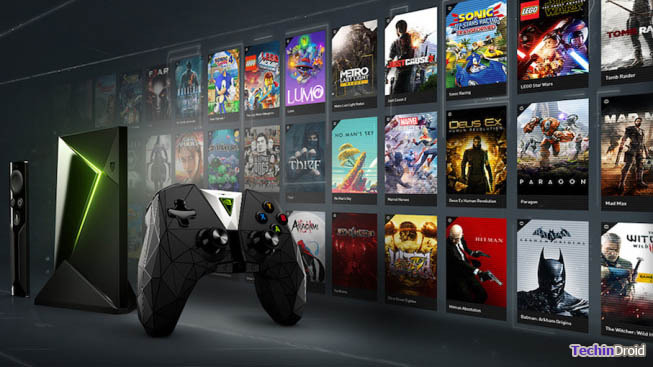 Best Android TV Box 2018 reviews of May: Aren’t you satisfied with the multimedia options offered by your Smart TV or just want to try the gadgets that offers to convert the living room Android TV into a complete multimedia center? 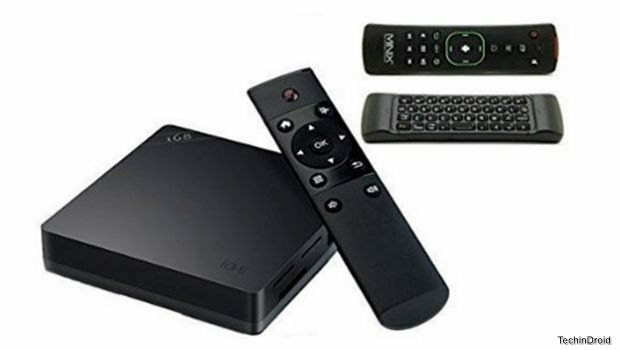 To convert your ordinary TV into Android Tv, all you need is to connect your TV one of the Android TV box devices. TechinDroid listed Best Android TV box 2018 edition for you, And you can choose your best buy android tv box 2018 from our list. As you know, Android is simple user-friendly operating system for smartphones & tablets. You can also convert your Smart TV into a complete entertainment center from which to play your favorite games, listen to music, watch any series or 4K resolution film or play streaming TV content such as Netflix or Yomvi. There are many, many different models of Android TV box devices available. But, we’ve selected some of the most prominent among which have been presented in recent months. Amazon introduced its first big bet in the segment of set-top-boxes in New York. 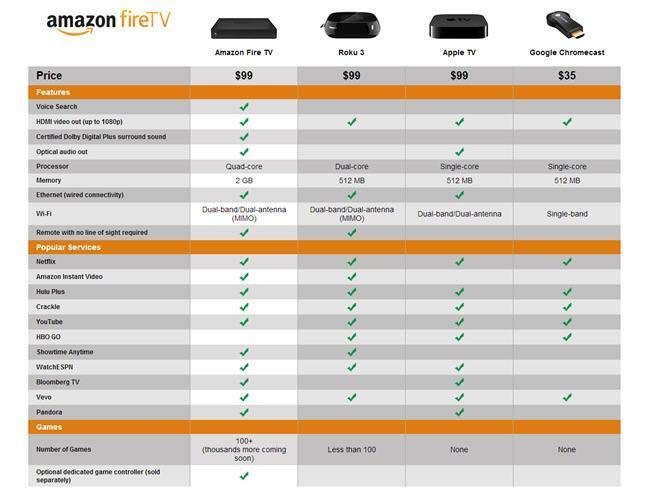 The new Amazon Fire TV is a device with the same format used in the Apple TV and that yes, it launches with all the power of the catalog of contents of this giant. Qualcomm Snapdragon S4 Pro processor (APQ8064). The set top box has 8 GB of storage capacity. Dual-band WiFi connectivity to get better download speed. Supported video formats H.263, H.264, MPEG4-SP and VC1. Dimensions: 115 x 115 x 17.5 mm. Power connector, HDMI port, optical audio output, 10/100 Ethernet port and USB 2.0 port. According to its features, it can perform 3X faster than Apple TV, Roku or Chromecast. It plays videos at 4K 1080p, plus a Dolby Digital + surround sound output. The connection to the TV is made through the HDMI port. 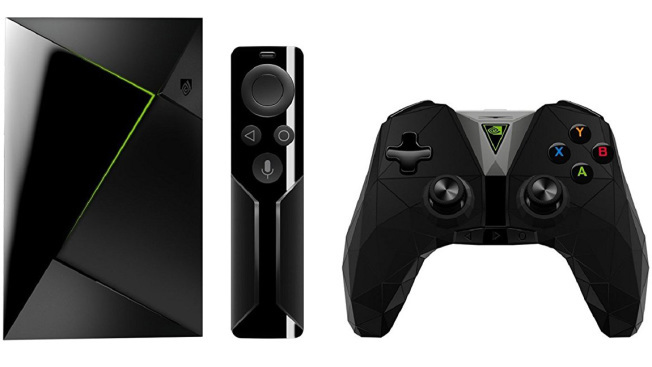 2015 version of the Nvidia shield already a dedicated best android tv box, Now the latest 2017 edition of the shield comes with Android OS 7.x “Nougat”, which means the player is up to date. The Shield TV sets new benchmarks. Apps: Apps for Amazon Prime Video, Netflix, Watchever, Maxdome, YouTube, Sky Snap and all relevant media counters are also on board. Thanks to its HDMI 2.0 port and strong Tegra-X1-SoC, the Shield TV lets you enjoy video playbacks at 4K at 60 fps. You can enjoy smooth gaming experience with this smart tv box. 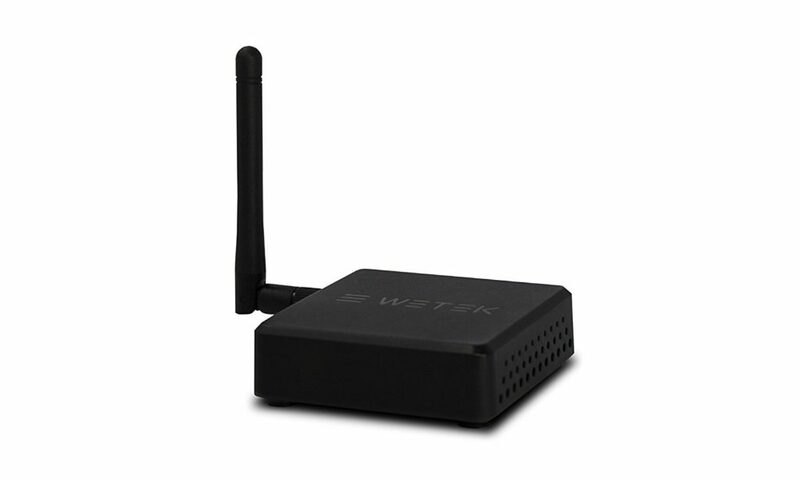 Connectivity: The box has two USB ports, supports any kind of external media, provides Gigabit LAN, WLAN ac and Bluetooth and provides access to the extensive Google Play Store for the Android TV platform. Storage: However, the MicroSD card slot not present, It has 16 GB of internal memory. USB sticks or external hard disks can be used as a memory extension via USB port. This is the NO 1 of our selection of Best Android TV box 2016 that is Minix NEO U1. Minix is one of the leading manufacturers in Android TV Box – based and with this new model U1 NEO stands for the hardware included. In it you will find the latest Quad-core processor S905 AMLogic, which integrates a GPU Mali-450mp5. operates at a frequency of 2 GHz. while the GPU features hardware decoding support H.265 codec pair and thanks to incorporating an HDMI 2.0 connector provides a video output 4K at 60 fps . The Minix NEO U1 mounts 2 GB of DDR3 RAM and has a capacity of 16 GB of eMMC internal storage which, after deducting the space occupied by the operating system, leaving the user free to about 11.8 GB. 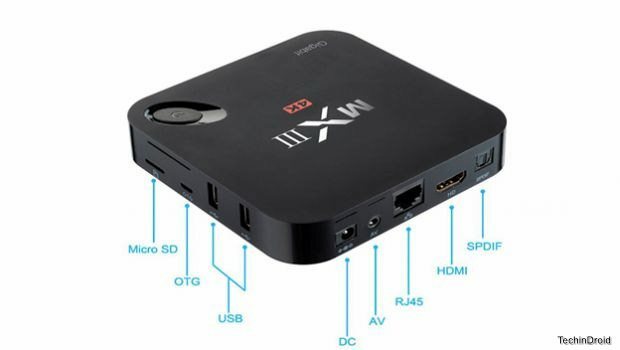 The operating system of this TV Box is based on a version of Android 5.1.1 , but you can also use a version of Kodi specifically developed for this device by the creators of XBMC. Something that gives an unequivocal multimedia character. 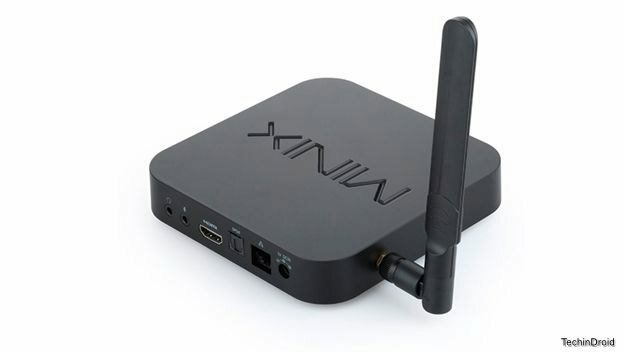 The Minix NEO U1 has a large battery connectors and connection possibilities, among which is based on support for DLNA, AirPlay and Miracast wireless protocols, as well as wireless 802.11ac bands compatible with 2.4 and 5 4.1 GHz and Bluetooth. In addition, the Minix NEO U1 includes 3 USB 2.0, microUSB OTG ports for connecting peripherals support, HDMI 2.0, SPDIF optical audio output, Gigabit Ethernet port, microSD card reader and headphone jack and microphone. The Minix NEO U1 also includes the command C120, in addition to the functions of conventional remote control includes a full mini keyboard on the back, with which you can extend the functionality of your Android TV. 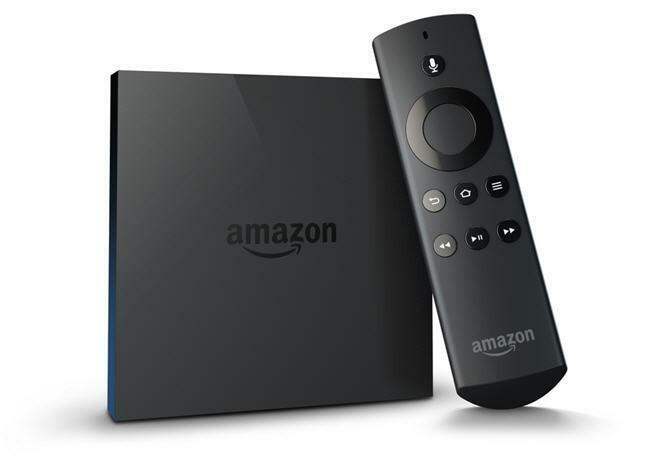 Its one of the Best Android TV Box in UK equipped with Android has the privilege of being one of the few devices of this type that has the license required to play content from Netflix in HD and Yomvi. So you can enjoy watching your favorite movies, series and TV shows at 4K Ultra HD using the powerful H.265 codec technology with 5.1 Dolby and DTS audio effect. Of course this Smart tv box open the door to the complete entertainment world. 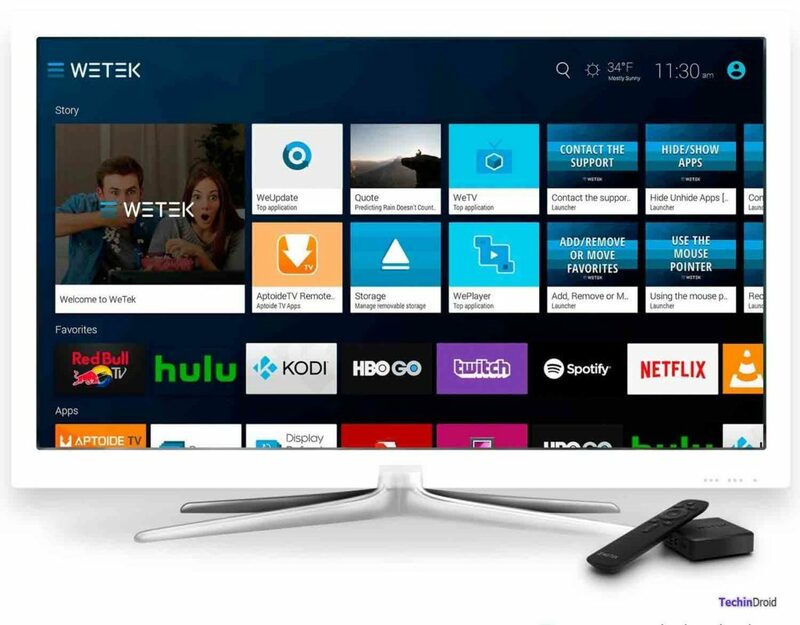 WeTek Core is one of the most recommended Android TV box. Equipped with a Quad-core processor S812-H AMLogic and GPU Mali-450 that supports hardware decoding H.265 codec and has DTS and Dolby certifications. The set comes comes with 2 GB of RAM DDR3 and 8 GB of internal storage memory that can expand with the addition of microSD card slot. The WeTek Core uses a version of Android 6.0 completely updated, so system optimization and RAM usage is very refined, besides having excellent support for updates via OTA. Assured thanks to its HDMI 1.4 connectors. Optical audio output SPDIF, Gigabit Ethernet port and two USB 2.0 ports. Support for remote displays with Miracast and DLNA, Bluetooth 4.0 and Wi-Fi with support for bands 2, 4 and 5 GHz. 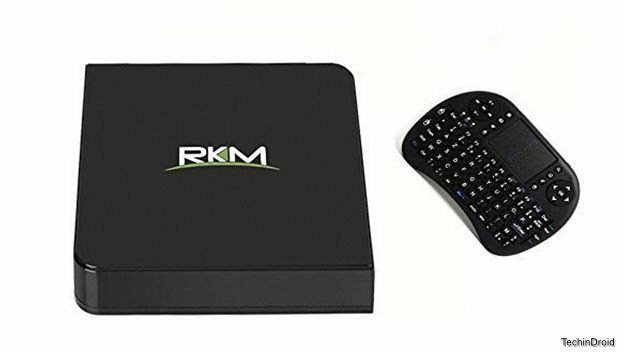 The RKM mk86 is the best Android TV box 2017. Year after year a added value within this range of Android devices. During 2015 there have been some interesting models, so we have not resisted to include one of them in our selection of HDMI sticks for Android TV . ➤ It includes ARM Cortex-A53 64-bit processors and opts for a powerful integrated GPU PowerVR G6110. ➤ 2 GB of RAM and 16 GB of internal memory which can be expanded up to 32 GB more using a microSD card. All this thanks to the optimization of memory that brings Android 5.1 Lollipop version that includes this device, ensure proper performance when running multiple apps simultaneously, among which include preinstalled Kodi (XBMC). 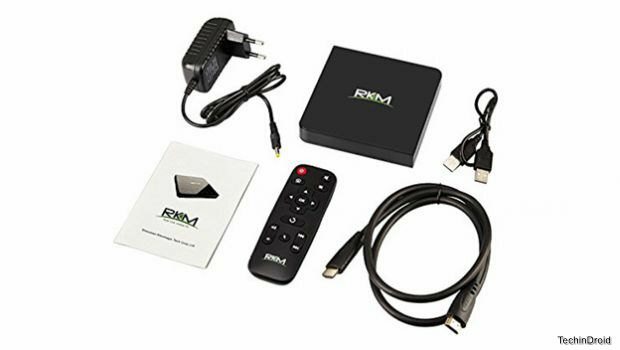 The RKM mk68 has all the connectors you might need among which include Wi-Fi wireless dual band (2.4 and 5 GHz) 802.11 b / g / n, Bluetooth 4.0 support for Miracast and DLNA protocols. We completing our selection of Android TV sticks with VicTsing MXIII MX3. Its a best cheapest android tv box. The Android TV box VicTsing MXIII MX3 is a best choice to play video content on your Smart TV, 4K resolution both directly from the device as in Full HD via streaming through optimizing hardware decoding for H.265 codec that can offer the same picture quality, with half the bandwidth. This device runs with Android 4.4.2, Quad – core Amlogic S812 operating at a frequency of 2 GHz, developed by a GPU Mali 450, 1 GB of RAM. So you will have no problems running the latest games with solvency. The setup box comes with complete 8 GB of eMMC internal storage memory expandable up to 32 GB if you use a microSD card. MX3 VicTsing MXIII includes preinstalled entertainment platform Kodi (formerly XBMC), which allows you to expand the content of your movies and series with subtitles, cover art, synopses and reviews from other users. Connectivity is the strength of this VicTsing MX3 MXIII since, in addition to the decoding hardware that we mentioned, allows transmission of video streaming in a very efficient way with the addition of Wi-Fi Dual-Band (2.4 and 5 GHz) with built-in antenna. 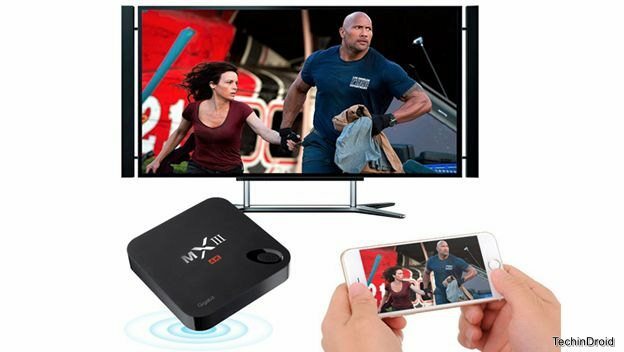 In addition, the MX3 VicTsing MXIII includes Gigabit Ethernet connection and Wi-Fi 802.11 a / b / g / n, Bluetooth 4.0 and support for Miracast and DLNA protocols. 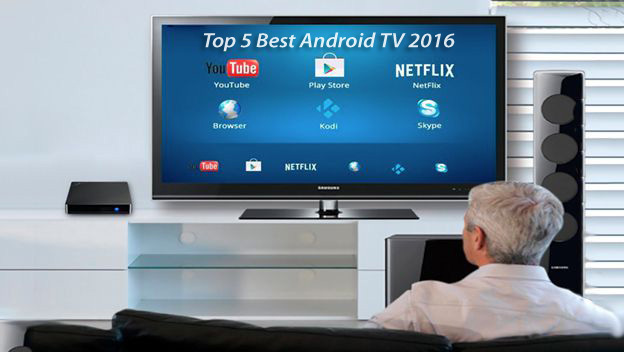 We begin our selection of the top 5 Best Android TV 2016 with Plater I68 Smart TV Box. A desktop Android TV device that runs Lollipop Android 5.1 and offers some really interesting features to convert any Smart TV into a complete leisure and entertainment center . Cortez A53 64 – bit operating at a frequency of 1.5 GHz. Supported by an integrated graphics chip that supports OpenGL 3.1, OpenCL 1.2 and DirectX 9.3. This graphic chip also provides support for 4K hardware decoding (3,840 x 2,160 pixels) at 60 fps with H.264 and H.265 codec. A2 command Neo Lite includes a gyroscope and accelerometer 6-axis, It also work as a gamepad. This Android TV Box Smart TV Plater I68 includes 2 GB of RAM DDR3 and 8 GB of eMMC storage, expandable up to 64 GB more if using an additional microSD card. It also includes a remote control Neo Lite A2 dual function. On one side is a remote control for use with the playback controls, volume and function buttons Android, while if you turn it integrates a complete mini keyboard that lets you type messages. Plater I68 Smart TV Box is well covered at the connectivity level as it includes 3 USB ports complete size, micro USB functions OTG to connect storage devices or peripherals, an HDMI connector, HDMI 2.0 (with support 4K / 2K 60 fps), Bluetooth 4.0, Wi-Fi 802.11 a / b / g / n with integrated antenna, Gigabit LAN connection and support Miracast and DLNA. These Android TV box are the best android TV box 2018. In addition this article will be updated if any new TV boxes arrives on the market. Don’t forget to share this article with your friends. All above listed Best android TV box for 2016 are officially reviewed by TechinDroid and worth to buy. Best buy Android TV Box.